So much yarn, so little time. : So who are you voting for? My Guest blogger yesterday started up a campaign group for Harry Hill Meerkat, check it out here. 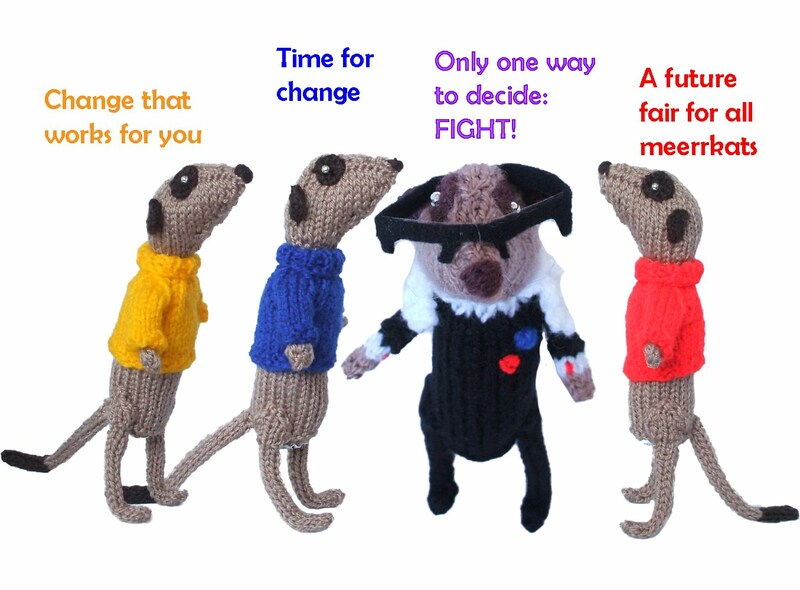 where is the green party meerkat? Hilarious! And is that Nick Robinson in the middle? !